Installing new flooring for your basement can spark creativity. Taking on a new project is always fun and exciting, and requires proper planning. 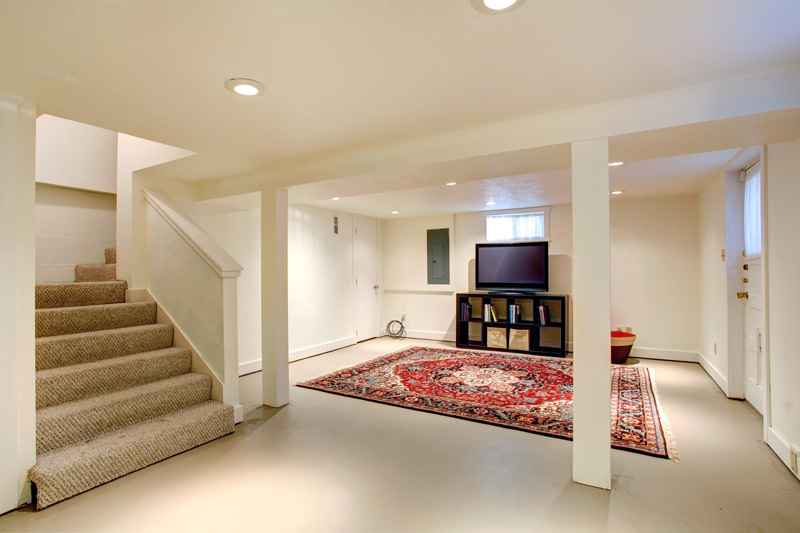 There are endless possibilities when it comes to choosing basement flooring. There are selections for everything from ceramics to hardwood – whatever you are envisioning, there is an option for you. 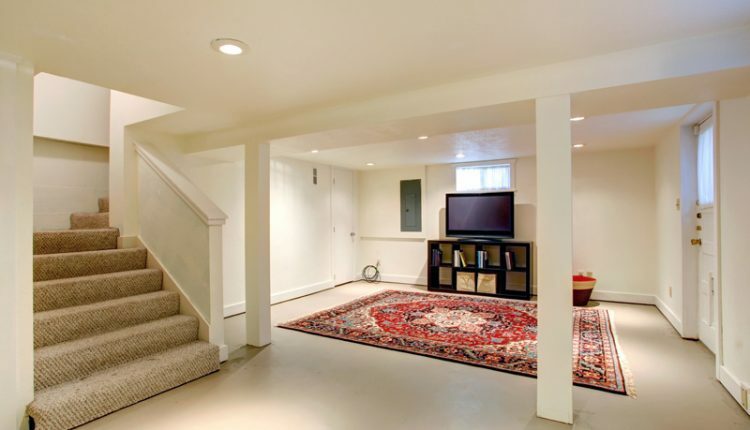 Before deciding on your best basement flooring options, it’s important to do your homework. Having a plan in place will ensure your project will turn out the way you want it. If your basement is used mostly for storage, and not for additional living space, then a few good coats of paint will give you a nice-looking floor. If you’re on a creativity kick, you can use your imagination, and create patterns in the floor with tape or masks. In any case, painting is probably the least expensive flooring option; if you don’t like the results, simply paint it again! 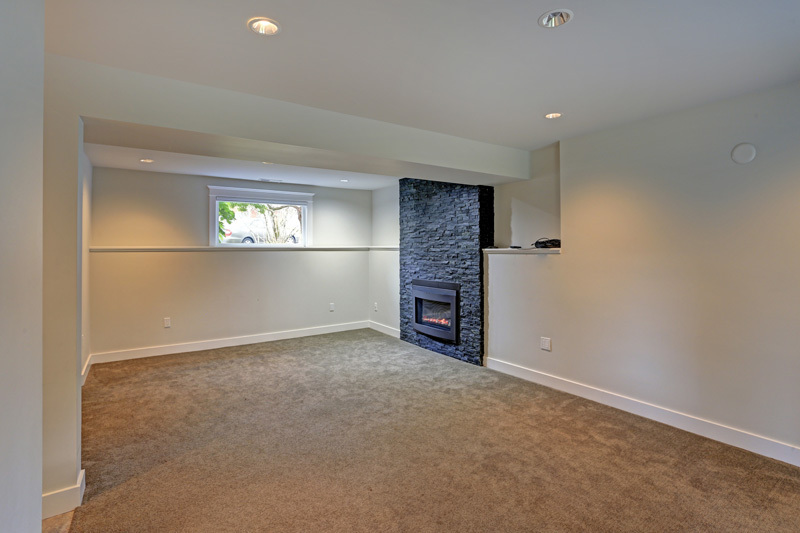 Many homeowners finish their basements to add more living space to their homes. If this is your goal, then it will give you a better idea to determine the type of flooring you’ll need. Play spaces for your children need a durable, but soft floor. 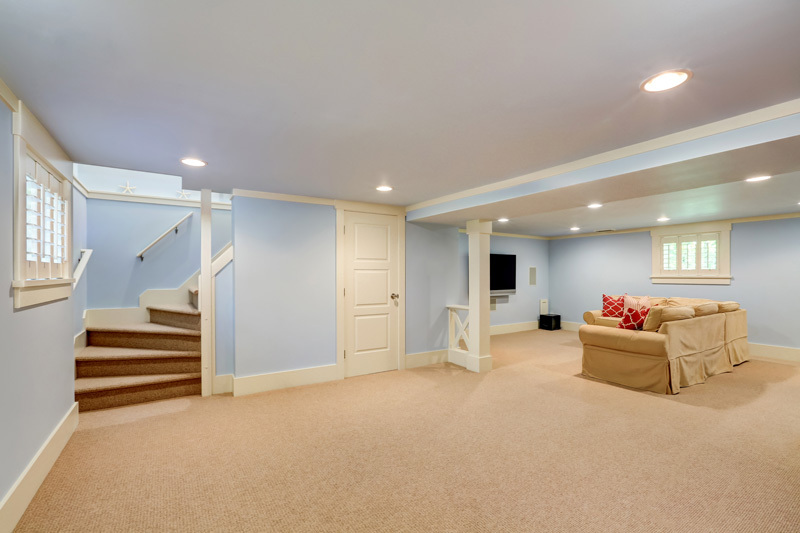 Often, carpet is not recommended for basements because of the high risk of moisture or floods. On the other hand, if your basement is properly waterproofed, carpet and underpadding provide great cushioning and keep the basement warmer. Flooring for family entertainment rooms depends on decor. In a properly waterproofed basement, hardwood floors make the room feel cozier and like other rooms in your home. Ceramic tile is durable and easy to clean but can be cold to the touch. In this case, an area rug might be useful. A sub-floor is often built to reduce the cold from cement floors and damage that might be caused by moisture. It is important to remember that even a vapor barrier does not protect your basement from damage caused by floods. Ongoing moisture under your basement sub-floor can cause wood rot and create a home for mold and mildew. 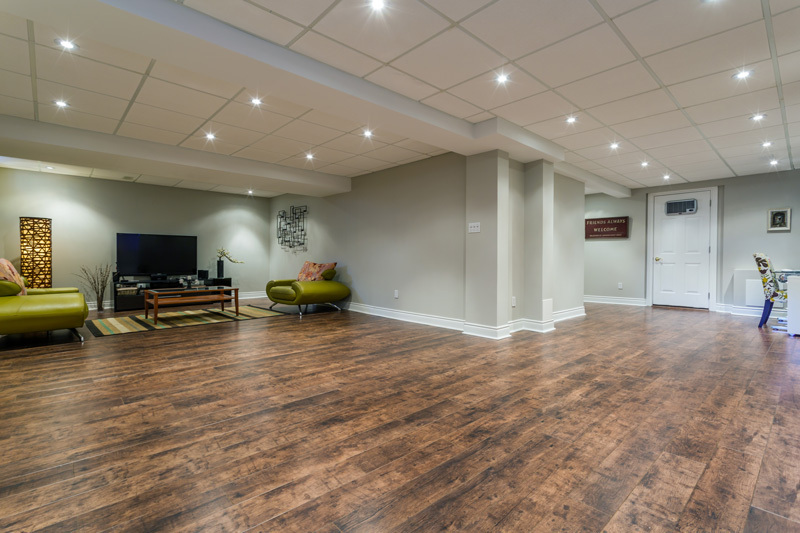 Regardless of whichever basement flooring you choose, waterproofing your basement prior to installation will protect your floor, home and belongings. If you have noticed repeated moisture problems, or have had a leak or flood, it is best to consult a basement waterproofing professional. 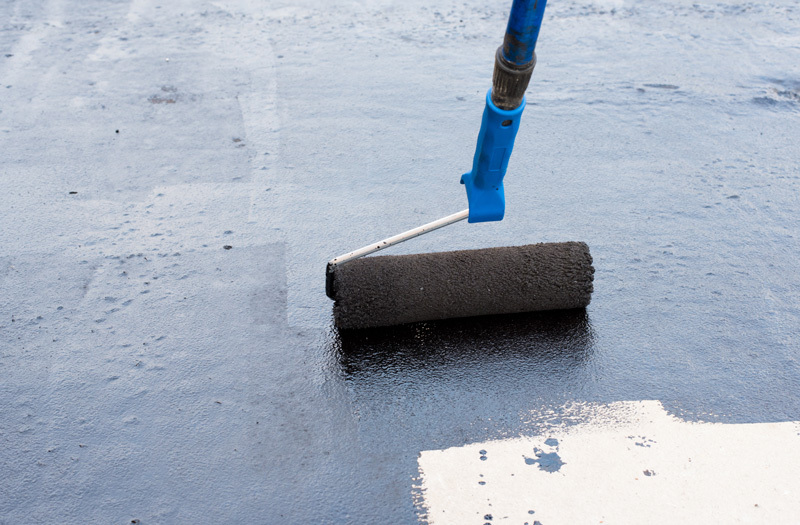 A professional will give you a recommendation for the best waterproofing method for your situation. If you found these tips useful, be sure to check back on our blog for more DIY tips. Terris AK Schneider is a content writer, editor and poet based in Toronto, Ontario. They have worked with a variety of clients, published articles in Discorder, Metro News Vancouver, and nonfiction pieces in online journals. They are currently writing a poetry manuscript for a postgraduate program at Humber College. You can follow them on Instagram @terrisannkatherine.